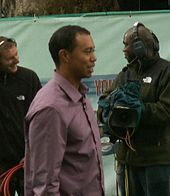 When Woods won the 2001 Masters, he became the only player to win four consecutive major professional golf titles, although not in the same calendar year. 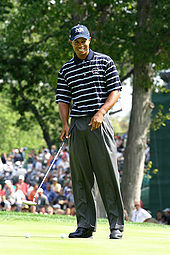 Following a stellar 2001 and 2002 in which he continued to dominate the tour, Woods' career hit a slump. 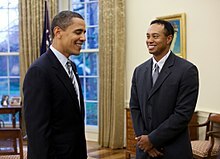 He did not win a major in 2003 or 2004. 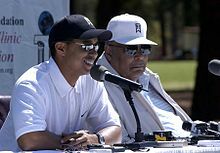 In September 2004, Vijay Singh overtook Woods in the Official World Golf Rankings, ending Woods' record streak of 264 weeks at No. 1. 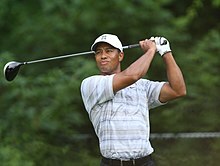 Woods had a poor showing at the 2013 U.S Open as a result of an elbow injury that he sustained at The Players Championship. In finishing at 13-over-par, he recorded his worst score as a professional and finished 12 strokes behind winner Justin Rose. After a prolonged break because of the injury, during which he missed the Greenbrier Classic and his own AT&T National, he returned at the Open Championship at Muirfield. Despite being in contention all week and beginning the final round only two strokes behind Lee Westwood, he struggled with the speed of the greens and could only manage a 3-over-par 74 that left him tied for 6th place, five strokes behind eventual winner Phil Mickelson. 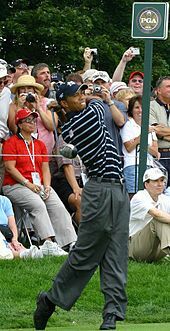 Two weeks later, Woods returned to form at the WGC-Bridgestone Invitational, recording his 5th win of the season and 8th win at the event in its 15-year history. 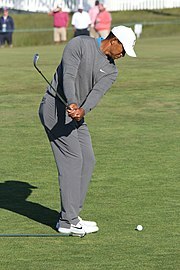 His second round 61 matched his record score on the PGA Tour and could easily have been a 59 were it not for some short missed birdie putts on the closing holes. This gave him a seven-stroke lead that he held onto for the rest of the tournament. 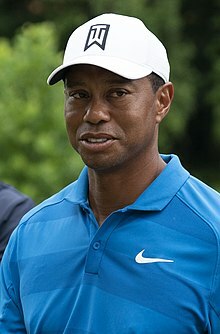 Woods would never contend at the PGA Championship at Oak Hill Country Club and would come short of winning a major for the 5th full season, only contending in two of the four majors in 2013. 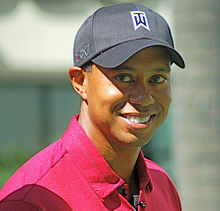 ^ a b "Tiger Woods – Profile". PGA Tour. Retrieved June 7, 2015.